The weekend commencing Friday 3rd March and concluding Sunday 5th March was filled with table tennis action, as many European countries hosted their respective annual National Championships. There were shocks, title defences and more throughout the weekend's action, so we have provided an overall summary of how some of the continent's top players performed on home soil. Halmstad was the host city for the 2017 Swedish National Championships, and what a lineup for the home spectators to enjoy as some of Europe’s brightest talent took centre stage. Anton Källberg was one of the standout competitors at Halmstad Arena as the 19-year-old star not only managed to claim the Under 20 Men’s Singles title, but also went on to stun Pär Gerell (11-9, 7-11, 6-11, 11-9, 5-11, 11-6, 11-2) to lift the Men’s Singles trophy. This is the first Swedish Championships to witness a player pick up both the Under 20 and Senior Men’s Singles titles at the same event, and even more history was set by the Källberg family as sister Christina’s triumph in the Under 20 Women’s Singles final saw a brother and sister win the two Swedish Under 20 competitions in the same year. The Women’s Singles prize went to Matilda Ekholm, after she came through her tie against Linda Bergström in straight games (11-4, 11-5, 11-5, 11-5). Sofia Polcanova caused a big upset at the 2017 Austrian Championships, as she received the Women’s Singles award for the first time in her career. Ranked 49th in the world in the ITTF World Rankings table for March 2017 Sofia Polcanova was given a difficult task in the final as she went up against the 15-times champion of Austria Liu Jia, but in a rather surprising encounter Polcanova went on to prevail (11-6, 11-5, 6-11, 11-9, 11-3) and remained undefeated all weekend as she also claimed the Women’s and Mixed Doubles titles. Emerging successful in the Men’s Singles competition was Stefan Fegerl, who saw off Dominique Plattner in six games (11-7, 3-11, 9-11, 11-4, 11-7, 11-3) to stand on the top step of the podium for the fourth occasion. Alexey Liventsov and Olga Vorobeva took the honours of becoming the 2017 Men’s and Women’s Singles champions of Russia. Second seed Liventsov overcame Grigory Vlasov across six ends (7-11, 11-8, 10-12, 11-3, 11-7, 11-6) to seal the Men’s Singles crown, while Vorobeva defeated the world no.85 Yulia Prokhorova (9-11, 11-8, 11-9, 11-2, 11-9). The 2017 Serbian Championships saw Andrea Todorovic and Bojan Crepulja put in impressive shifts by lifting the Women’s and Men’s Singles trophies respectively. Over at the Italian Championships which were being contested at the PlayHall of Riccione, Mihai Bobocica won the Men’s Singles competition for the sixth time after he beat Niagol Stoyanov in the final. In the Women’s Singles final Tian Jing accounted for Wang Yu to claim the title for the first time in her career. Marco Rech Daldosso and Chiara Colantoni proved successful in the Mixed Doubles event for the fourth consecutive year, coming back from two games down to see off Paolo Bisi and Debora Vivarelli in five games. The Men’s Doubles crown went to Marco Rech Daldosso and Niagol Stoyanov, with the Women’s Doubles trophy going to Denisa Zancaner and Debora Vivarelli. Jonathan Groth’s injury withdrawal blew the battle for the Men’s Singles title at the Danish Championships wide open, and Tobias Rasmussen fully capitalised on the situation as he beat Claus Nielsen without dropping a game (11-7, 11-8, 11-7, 11-6), while the Women’s Singles competition was won by Stefanie Christensen. Two titles were won by Anna Kirichenko at the Finnish Championships in the city of Kuopio as she stood victorious in the Women’s Singles and Doubles tournaments, and Benedek Oláh made the perfect comeback from his recent injury as he secured the Men’s Singles title with his victory over Mika Räsänen in the final. Cedric Nuytinck and Eline Loyen were the two standout names at the Belgium Championships, beating Florent Lambiet and Nathalie Marchetti to take the Men’s and Women’s Singles prizes on offer. Across the border in France it was Emmanuel Lebesson and Yuan Jia Nan who prevailed in Marseille. 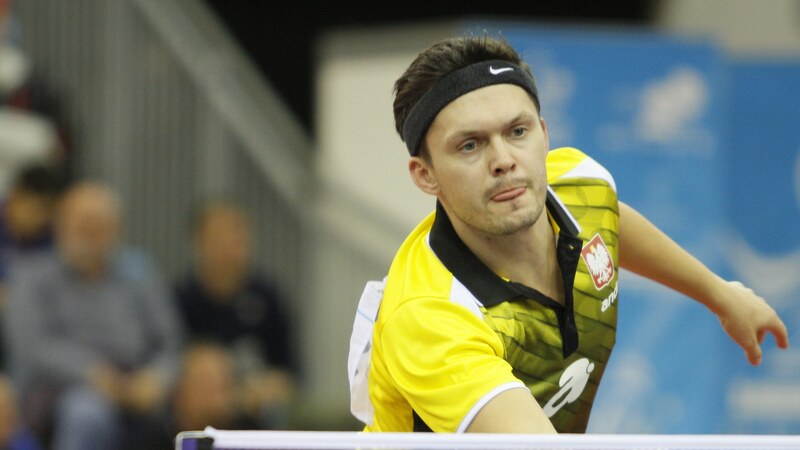 The Men’s Singles tournament at the Polish Championships in Częstochowa saw Daniel Górak emerge as champion for the fifth time, while for Timo Boll it was Men’s Singles title no.11 at the German Championships following his triumph against Ruwen Filus at the 2017 competition being held in Bamberg. Hana Matelová and Dana Čechová played out an entertaining Women’s Singles final at the 2017 National Championships in the Czech Republic with the former of the two players coming through the tie in six games (11-7, 11-5, 7-11, 17-15, 8-11, 11-7). The equivalent title on offer at the Belarus Championships was won for the fifth time by Alexandra Privalova after the 29-year-old condemned Daria Trigolos to defeat. We round off our summary of the weekend’s action with tournament news from Greece, Romania and England. Tasos Riniotis and Christina Fili claimed silverware at the Greek Championships as they proved successful in the Men’s and Women’s Singles events, while Adina Diaconu continued to impress her country as she won the Women’s Singles and Mixed Doubles titles at the 2017 Romanian Championships. Paul Drinkhall was another big player at the weekend as he received a trio of gold medals at the English National Championships, winning the Men’s Singles, Men’s Doubles and Mixed Doubles trophies in Nottingham.